Do you (or kids you know) like fun? Dinosaurs?? Science??? Come out to FHS to enjoy all 3 at the same time!! It's going to be a roaring good time! 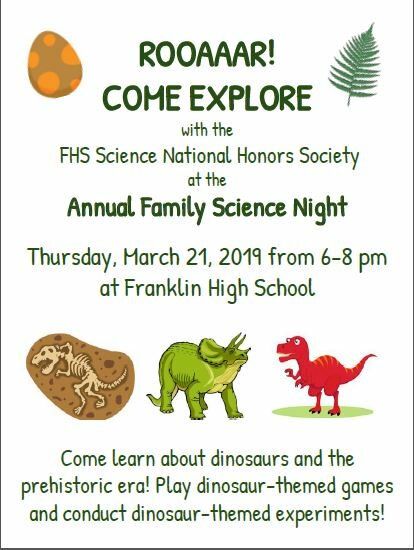 Thursday, March 21 from 6 - 8 PM.